But guys! It turns out that I wasn't done thinking because then I had ANOTHER idea about how the whole thing could be even MORE awesome! Wanna hear it? Of course you do. The whole thing could be more awesome if YOU were involved! That way, it wouldn't just be me giving away a few mad props, but LOTS of people giving away LOTS of mad props! And the more mad props, the better, right? 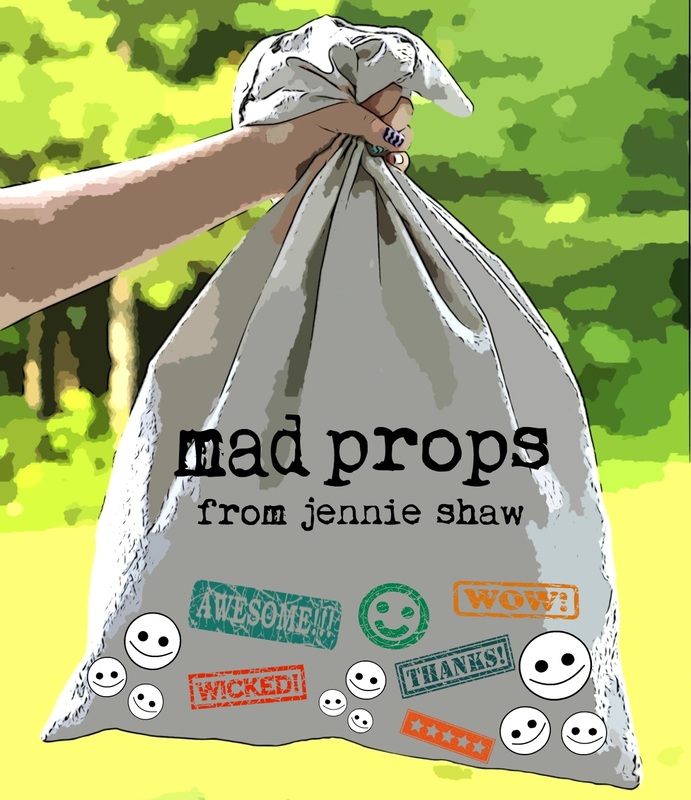 Mad props are just like snaps, only they don't make any noise and are contained in a virtual sack. Ha! So if you have a company/restaurant/person/whatever that you'd like to give some mad props to, shoot me an email (found in the contact me tab), tell me your story, and we'll get to work sending them some! Yay! I already have a list started, so you can expect the first post soon. And please keep the mad props series/award in mind the next time you have an awesome experience and, if you want, we can spread some positivity together! Great idea. We hear so much bad stuff about companies all the time. It will be refreshing to hear some good stuff! I'm all for some positivity! :) Great idea!